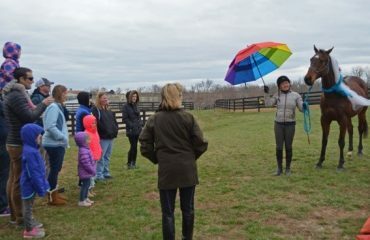 Gladstone, NJ – April 16, 2014 – The United States Equestrian Team Foundation is pleased to announce an exciting new fundraising initiative, The Jonathan Wentz Memorial Challenge for High Performance Para Dressage, made possible through the generosity of Margaret H. Duprey and The Barnfield Foundation. 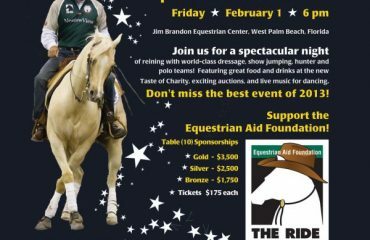 The goal of the initiative is to raise $800,000 for High Performance Para Dressage. Mrs. Duprey and the Barnfield Foundation have each pledged up to $200,000. They will each match, dollar for dollar, every gift commitment of $4,000 and above made by April 1, 2015.
offers an incredible opportunity for those who share a passion and interest in increasing support for these most inspiring and deserving athletes, and their quest to represent this country in international competition including the World Equestrian Games and Paralympics. “Our family is so excited and honored that Jonathan is being recognized in this way. 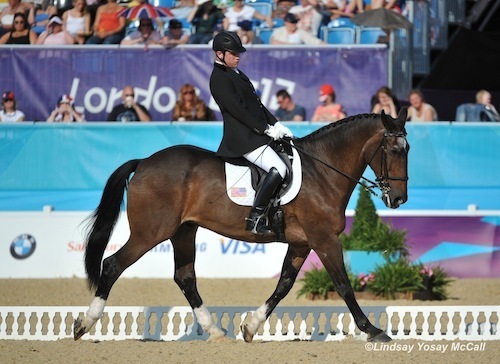 His dream was to not only be a world class equestrian, but to also help develop a world class United States Para Dressage Team. This as you know, not only takes dedication, sacrifice, training and skill of the athletes, but also the funds to compete nationally & internationally. My hope is that The Jonathan Wentz Memorial Challenge will raise awareness and the funds needed to carry on his dream of developing a world class team!,” said Tina Wentz (Jonathan’s mother). Jonathan Wentz and NTEC Richter Scale at the 2012 London Paralympics. In addition to shipping horses to Europe and making sure that the correct support staff is in place, such as veterinarians and farriers, additional support staff is also needed for the riders as well so that they can function at the highest level both physically and emotionally when they are competing.The financial need for Para Dressage athletes at the High Performance international level can be quite significant. Unlike in most countries, the United States Equestrian Teams do not receive any government subsidies. The main source of funds for our athletes to participate in international competition comes through the USET Foundation from individuals and foundations whose interest and commitment to equestrian sport motivates them to make generous charitable contributions. While traveling, especially overseas, wheelchair accessibility can be limited, and an individual benefits from having a personal care assistant to help the athlete not only move through low accessibility areas but they can also monitor the rider’s physical well-being. Other supplementary support staff may include a person who is physically capable of helping a rider to mount their horse before competition and a physical therapist to work the rider’s muscles. Many athletes who are paralyzed or have muscle spasticity can have muscle spasms, muscle soreness, and physical issues that may need a licensed physical therapist to monitor and address. “This amazing opportunity to establish new levels of support and success for the United States High Performance Dressage program is thanks to Margaret H. Duprey and The Barnfield Foundation, both long time loyal supporters of equestrian sport. I thank them for their true leadership and applaud their commitment in making The Jonathan Wentz Memorial Challenge for High Performance Para Dressage possible,” said Bonnie B. Jenkins, USET Foundation Executive Director. 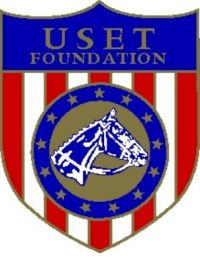 For more information on the USET Foundation and The Jonathan Wentz Memorial Challenge for High Performance Para Dressage, please call Bonnie B. Jenkins, Executive Director or Sara Ike, Major Gifts Officer at (908) 234-1251.